This book! Where do I even start? I'm a Jane Austen fan but perhaps not so big a fan as Emma is. That may be a gross understatement but I am enough of a fan to greatly appreciate the Austen references and all the quotes at the beginning of the chapters. 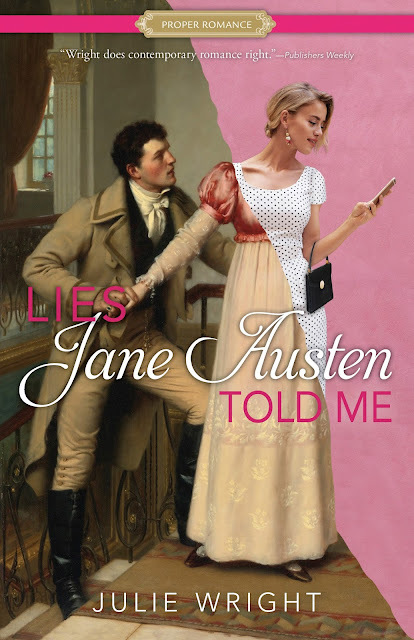 I found great humor in Emma and her love/hate relationship with her Austen ideals. Especially when she throws her book in the garbage only to dig it out a bit later, feeling ever so guilty. Ha. Yes, I had plenty of smiling, giggling moments with this book. It was amusing and entertaining. There were also plenty of moments of depth and challenge. The characters deal with real life issues and struggles. They are both weak and strong. It's a fantastic balance and felt very true to life. I loved the whole cast of characters and how everything changed, circled and evolved from beginning to end. Speaking of the ending, I LOVED it. It was like my heart let out such a big, happy and contented sigh. "Finally", it said. This will probably go on the list for one of my favorite books this year. I really loved it. Sound like it surpassed your expectations and I love when a book does that.